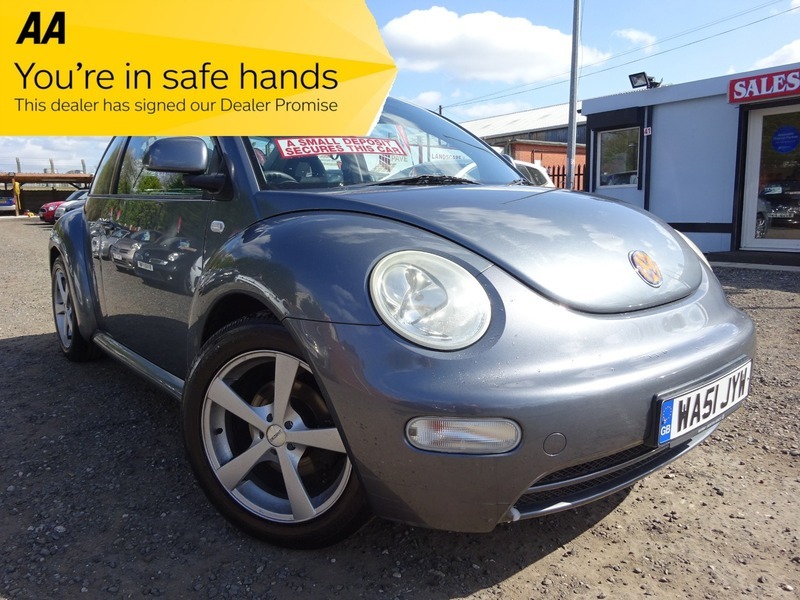 HERE WE HAVE A NICE LOOKING VW BEETLE 1.6 WITH UPGRADED ALLOYS, PREMIUM STEREO FITTED & IN LOVELY CONDITION FOR IT'S AGE & MILEAGE! THIS CAR DRIVES SUPERB & IS SUPPLIED WITH EVIDENCE OF CAMBELT CHANGE FOR EXTRA PEACE OF MIND! ALSO COMES WITH 12 MONTHS AA COVER FOR ADDED PEACE OF MIND! VIEWING RECOMMENDED AND ENCOURAGED!